Walter Feuchtwanger (Wanger) was born in San Francisco, California, on 11th July, 1894. He served with the United States Army during the First World War. In 1919 Wanger married silent film actress Justine Johnstone. 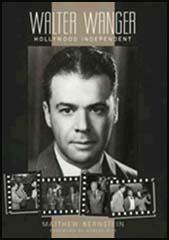 He moved to Hollywood and found employment at Paramount Pictures and was executive producer of The Cocoanuts (1929), a film featuring the Marx Brothers. Wanger also produced The Lady Lies (1929), Roadhouse Nights (1929), Tarnished Lady (1931), Going Hollywood (1933), Queen Christina (1933), Strange Conspiracy (1934), the film made by Wanger about the political problems of Europe, Private Worlds (1935), Shanghai (1935), Smart Girl (1935) and Her Master's Voice (1936). Wanger became concerned about the growth of fascism in Europe and joined with Dorothy Parker to establish the Hollywood Anti-Nazi League (HANL) in 1936. Nicholas J. Cull, the author of Selling War: The British Propaganda Campaign Against American Neutrality (1996) has argued: "Walter Wanger became vocal in the cause of anti-fascism. Wanger (an Episcopalian of Jewish parentage, who pronounced his name to rhyme with danger) had never sought to avoid controversy. Throughout the 1930s, his films carried a clear political (and usually anti-war) message." In 1938 Wanger tackled the subject directly in Blockade, a film about the Spanish Civil War. The film was written by two left-wing writers, John Howard Lawson and Clifford Odets and was immediately banned in fascist-run countries such as Germany, Spain and Italy. Catholics in the United States also objected to the film and Joseph Breen, a censor with the Motion Picture Producers and Distributors of America, accused the HANL of an attempt to "capture the screen of the United States for Communistic propaganda purposes." Despite these attacks Wanger was elected president of the Academy of Motion Picture Arts and Sciences in 1939 and over 5,000 Hollywood filmmakers, writers, and technicians had joined the Hollywood Anti-Nazi League. After divorcing Justine Johnstone, Wanger began a relationship with highly successful film actress Joan Bennett, sixteen years his junior. She was the star of movies such as She Wanted a Millionaire (1932), Little Women (1933), Private Worlds (1935) and Trade Winds (1938). The couple married in Phoenix on 12th January, 1940. They had two children together, Stephanie Wanger (born 26th June, 1943) and Shelley Wanger (born 4th July, 1948). Wanger's work had pleased the new British government headed by Winston Churchill. It was suggested that Alfred Hitchcock should go to the United States. Patrick Gower, the chief publicity officer at the central office of the Conservative Party and Oliver Bell, director of the British Film Institute, charged him with a special mission to work for "the better representation of British characters in Hollywood produced films." On arriving in Hollywood, Hitchcock claimed that he had plans to amend all his screenplays to include "secondary characters whose representation will tend to correct American misconceptions regarding British people." In 1940 Wanger and Hitchcock agreed to make the film Foreign Correspondent. It was based on the autobiography, Personal History (1935), by the anti-fascist journalist, Vincent Sheean, that Wanger had paid $10,000 for the rights. 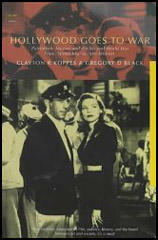 Writers employed to work on the screenplay included Harold Clurman, Ben Hecht, John Howard Lawson and Budd Schulberg. It was changed to the fictional story of Johnny Jones, played by Joel McCrea, a American crime reporter reassigned as a foreign correspondent in London. 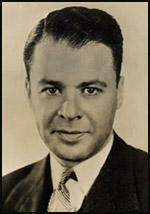 He meets Stephen Fisher (Herbert Marshall), the head of the Universal Peace Party. It is not long before Jones gets entangled in international intrigue involving the kidnapping of Van Meer played by Albert Bassermann, who in real life was a refugee from Nazi Germany. James Monaco has argued: "One of the great espionage films, tautly handled by Alfred Hitchcock, Foreign Correspondent gleams with suspense, atmosphere and sharp dialogue... It is also a stirring propaganda piece which clearly indicts the Nazi regime." Joseph Goebbels agreed and described it as "a first-class production... a masterpiece of propaganda... which no doubt will make a certain impression upon the broad masses of the people in enemy countries." Wanger became convinced that his wife was having an affair with her agent, Jennings Lang. On 13th December, 1951, Wanger found them in the car together. He shot twice at Lang. One bullet hit him in the right thigh, and the other penetrated his groin. Wanger was arrested by the police and he told the chief of police of Beverly Hills: "I shot him because I thought he was breaking up my home". Joan Bennett denied that she was involved sexually with her agent: "If Walter thinks the relationships between Mr. Lang and myself are romantic or anything but strictly business, he is wrong." She blamed the trouble on financial setbacks involving film productions Wanger was involved with, and said he was on the verge of a nervous breakdown. Walter Wanger's attorney, Jerry Giesler, mounted a "temporary insanity" defense. Wanger was found guilty and was sentenced to a four-month sentence in the County Honor Farm at Castaic. Denis Bingham, the author of Whose Lives Are They Anyway? (2010): "It mattered little that Wanger was apparently a compulsive philanderer who had been unfaithful to Bennett for more than she had been to him. In a classic case of double standards, Bennett's film career was destroyed by the publicity, while Wanger, after serving three months and nine days of a four month jail sentence, was able to rebuild his career." On his release he September 1952, he told the press that "the prison system is the nation's number one scandal. I want to do a film about it." He returned to Hollywood and in 1954 he made the prison film Riot in Cell Block. This was followed by The Adventures of Hajji Baba (1954) and Mother, Sir! (1955). Wanger produced Invasion of the Body Snatchers in 1956. Based on the novel by Jack Finney, the story tells of Miles Bennel (Kevin McCarthy), a doctor from the small town who believes his community has been invaded by aliens who have literally taken over the bodies of his friends and relatives. Some critics interpreted the film as being a critique of communism whereas others saw it as an attack on McCarthyism. In his autobiography, I Thought We Were Making Movies, Not History, the film producer, Walter Mirisch has argued: "People began to read meanings into pictures that were never intended. The Invasion of the Body Snatchers is an example of that. I remember reading a magazine article arguing that the picture was intended as an allegory about the communist infiltration of America. From personal knowledge, neither Walter Wanger nor Don Siegel, who directed it, nor Dan Mainwaring, who wrote the script nor the original author Jack Finney, nor myself saw it as anything other than a thriller, pure and simple." However, later, the director of the film, Don Siegel, commented: "I felt that this was a very important story. I think that the world is populated by pods and I wanted to show them... The political reference to Senator McCarthy and totalitarianism was inescapable but I tried not to emphasize it because I feel that motion pictures are primarily to entertain and I did not want to preach." Wanger was a strong opponent of capital punishment and when Barbara Graham was executed on 3rd June, 1955, he decided to make a film based on her life. I Want to Live! was produced in 1958. Directed by Robert Wise, the movie was adapted from letters written by Graham and newspaper articles written about the case. Susan Hayward played Graham. Wanger wrote to her while shooting the film: "The more I read, and the more I hear, the more certain I am that this will be the greatest film ever shot to end capital punishment and the public believing everything it reads about people apprehended by the law, especially women." James Monaco has pointed out: "Hayward's performance is so intense, and the film so grim, it's exhausting watching her suffer through one agony after another. Wise directs with the perspective that Hayward/Graham was innocent all along, although the film offers little evidence to support this claim, a stance that brought universal criticism from law enforcement agencies." Susan Hayward won the Best Actress Oscar for her performance at the 31st Academy Awards. Walter Wanger died of a heart attack in New York City on 18th November, 1968. He was interred in the Home of Peace Cemetery in Colma, California. By 1938, Hollywood was also throwing off encouraging sparks of unneutrality. These had been slow in coming. The Mays office and Production Code Administration had fought long and hard to keep polities out of the movies, and the Jewish producers who might ordinarily have led the anti-Nazi campaign seemed reluctant to challenge these rules. Meanwhile, such actors as the passionately anglophile Douglas Fairbanks, Jr., who pressed for openly anti-Nazi pictures, encountered a general fear among producers and directors that open opposition to Hitler would produce an anti-Semitic backlash against "Jewish warmongers" in the United States. But there were exceptions. After a studio employee was murdered by the SS in 1936, Warner Brothers introduced a regular twist of anti-totalitarianism into their movies; and the independent producer Walter Wanger became vocal in the cause of anti-fascism." Wanger (an Episcopalian of Jewish parentage, who pronounced his name to rhyme with danger) had never sought to avoid controversy. Throughout the 1930s, his films carried a clear political (and usually anti-war) message; his 1938 film on the Spanish Civil War, Blockade, mixed opposition to war with a denunciation of fascism that was sufficiently outspoken to earn the film bans in Spain, Italy, Germany, Portugal, Peru, El Salvador, Bulgaria, Yugoslavia, Lithuania, Czechoslovakia, and Poland. Soon thereafter Wanger began actively campaigning for a solid anti-Nazi stance in Hollywood. By 1938, 5,000 Hollywood filmmakers, writers, and technicians-from timid liberals to brash Popular Front Communists-had joined him in the Hollywood Anti-Nazi League. It was only a matter of time before the movies themselves caught up. The most explicitly anti-Nazi and pro-British films of the era came from the American newsreel Munch of Time (a subsidiary of Henry Lace's Time empire). By 1938, under the vigorous direction of Louis de Roehemont, the series had adopted a firm stand on the international crisis. The March of Time film "Inside Nazi Germany-1938" became the first anti-Nazi motion picture to gain commercial distribution in the United States. De Rocheniont launched a special British edition and opened a London office to ensure a regular supply of "British interest" stories for the British and American editions of the newsreel. Thus, during the final years of peace, the 20 million Americans who watched March of Time each month saw more news from Britain than from any country except the United States itself. Although the heroic March of Time version of British diplomacy ran somewhat ahead of reality, this did no harm to the cause, and it won de Rochemont friends in Britain.